Carlisle United say they will meet with an unnamed party to discuss a "substantial investment proposal" following initial negotiations. The meeting will take place "within the next five to 10 days." 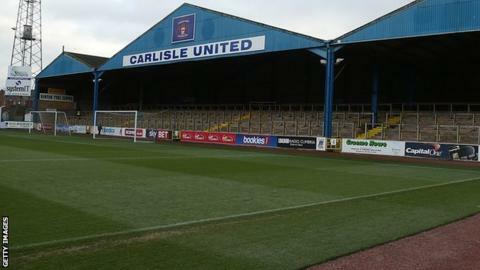 Carlisle vice-president Andy Bell revealed on Wednesday that a "billionaire" had made them an offer. And chairman Andrew Jenkins said: "We are looking forward to making further progress with the prospective new investors before the end of the month." He continued: "We recognise that the issue of the club's shareholding needs to be settled at the earliest opportunity. "However, it is imperative that we choose the best option which will move the club forward at this critical point in our history." Carlisle, meanwhile, are continuing efforts to revamp their playing squad for next season, completing the signing of Accrington Stanley captain Luke Joyce. They had already brought in defender Michael Raynes and midfielder Jason Kennedy earlier this week.